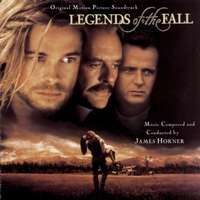 It has been exactly twenty years, since the period from 8 to 19 April 1994, when James Horner recorded at Abbey Road Studios with the London Symphony Orchestra, one of the most lyrical and romantic pieces of music in his career: Legends Of The Fall. This anniversary is an opportunity to return to this score, whose impact has preserved all its strength for two decades. 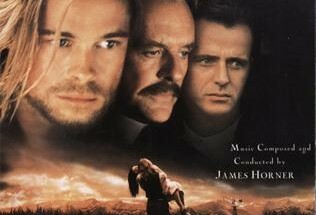 After Glory (1989) and before Courage Under Fire (1996), the composer met up with the American director Edward Zwick for this adaptation of Jim Harrison's eponymous short novel, which brought together on screen Brad Pitt, Anthony Hopkins, Henry Thomas, Julia Ormond and Aidan Quinn. The story of Legends Of The Fall takes place in the wild plains of Montana on the eve of World War I. Over several decades we follow the dramatic events lived by the Ludlows: three brothers (Alfred, Tristan and Samuel) and their father, Colonel William Ludlow. Their lives will be upset by the arrival of the beautiful Susannah Fincannon, bride of Samuel, the youngest of the brothers. The latter will immediately be attracted to Tristan, while Alfred, the elder, falls madly in love with her. 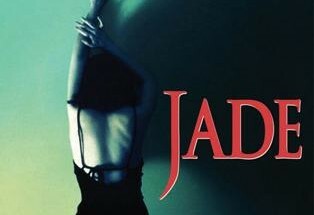 The music, beautifully performed by the London Symphony Orchestra, offers us many exciting and passionate themes embellished by the orchestrations of James Horner, Thomas Pasatieri and Don Davis, as well as the contributions of many talented soloists: Jay Ungar and Dermot Crehan for their fiddle solos, Kazu Matsui on the shakuhachi, Tony Hinnigan and Mike Taylor on flutes, and Maggie Boyle's voice. For the song Twilight and Mist sung by Henry Thomas in the film, of which only the instrumental version is included on the album, James Horner has once again appealed to the songwriter Brock Walsh, with whom he had worked on Hocus Pocus (Sarah's Theme – 1993). The album, which is an impressive 75 minutes in duration, was released at the same time as the film in January, 1995, eight months after its recording. The enthusiasm of the audience for the music had enabled the disc to remain in the top 200 of American sales, for seven weeks. 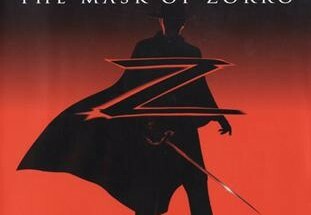 It was somehow a foretaste of major discographic success that would be shared by Braveheart, Titanic, and The Mask Of Zorro in subsequent years. 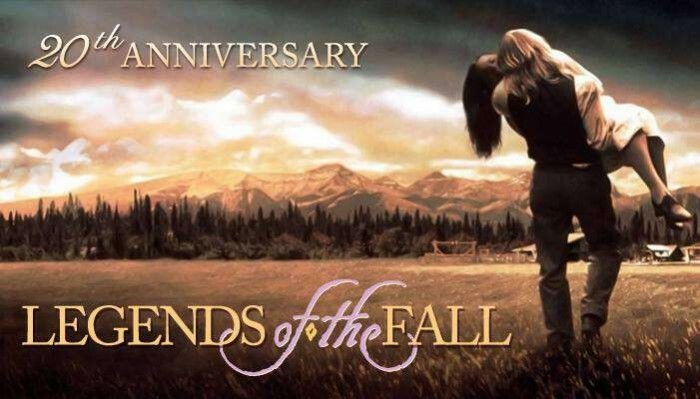 We present an analysis of the themes of Legends Of The Fall with first their different appearances in the film and on the album, then a description of each. Indeed, one of the striking features of this essential and splendid score is its thematic richness. James Horner has created a dozen themes that each occupy their own place of importance. We assigned a letter to each theme, and each occurrence is numbered. If the musical passage is present on the album, we have indicated the name of the track and timing. If this is not the case, we clarify that this is an unedited cue with its place on the DVD, Legends of the Fall – Special Edition released in 2000. "Some people hear their own inner voices with great clearness. And they live by what they hear. Such people become crazy or they become … Legend"
The story of Legends of the Fall tells us about the life of Tristan Ludlow, so it makes sense that he is musically the most represented on the album and in the film. 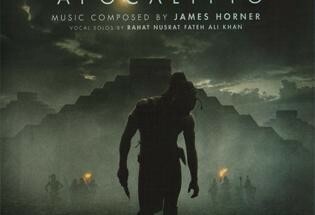 James Horner composed one of the greatest themes of his career, a powerful, passionate and dramatic melody totally appropriate to the character's wild and disturbing nature. Over the course of the different orchestrations, the story conveys his moods over his life. Kazu Matsui's shakuhachi often transforms it to bestow a heartrending or mystical character. It is this Japanese flute which introduces the theme along with the pan flute (A-1, A-2), giving the young man a wild and mysterious aura that will not leave Susannah indifferent, and that will accompany their relationship (A-3, A-17, A-22). Both instruments also serve to emphasize Tristan's attraction to the Native American culture, which "One Stab" has shared with him from his childhood. During the World War I sequences , the horn and trumpets offer more than a touch of heroism at the beginning of Samuel's Death (A-5), the theme has dramatic (A-4), desperate (A-6) and tragic (A-7) colors mainly through the strings (, reflecting the events which will mark Tristan forever. After the death of Samuel (A-7), the theme becomes more ferocious and severer: the bloody night out in the German trenches (A-8) and the attempted suicide near the grave of his brother (A-11) are the most striking examples. It is interesting to note that these two passages use the same crescendo of strings, suggesting that Tristan's mental state is the same in both situations. Although it is highly dependent on Tristan's turbulent nature, the theme will, however, have softer and gentler passages with harp and woodwinds during his brief passion with Susannah (A-9) or in years of happiness spent alongside Isabel II (A-18, A-19). While the beginning of the score is monopolized by theme B (see below) , its central part is itself dominated by this theme A, such a great, evocative power of human emotions: a mournful flute and melancholic oboe superbly share the role of portraying all heart aches between Susannah and Tristan (A-12, A-13), the shakuhachi symbolizes the heartwrenching separation as he leaves the ranch (A-14), a lone trumpet (A-15) illustrates Tristan's bestial thoughts and accompanies the four-note motif when he's writing a letter, sealing the end of his relationship with Susannah. Then, during Tristan's return to the ranch, the brass expose all the sensational power of the theme (A-16). This musical brilliance brings to the character's reappearance an almost mythical aspect worthy of the legends reported back to Montana, and evoking his journeys around the world. When Tristan dismounts and places his feet anew on this land where he was born, the first notes of the theme played by the strings amplify this feeling of unreality, as if the long-awaited return came straight out of the imaginary, like a demi-god in a legendary story. 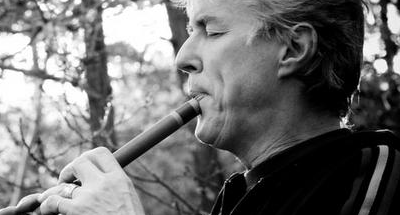 For the death of the character (A-23), a horn supports the shakuhachi and brings both gravity and majesty to the scene. The album and the closing credits end with one last, dark statement(A-24) where the first notes of the theme are accompanied by basses which will be heard a few years later in Titanic fevoking the darkness and coldness of the ocean. B-4) Tristan appears distantly on the plain as the procession suite who came to pick up Samuel and his bride is en route to the ranch. (Unreleased cue / Movie 10:17-11:17). Note: from 2:36 to 4:27 of the track The Ludlows isn't featured in the film. The whole spirit of the film is encapsulated in this theme: the wild beauty of Montana, the brotherhood between the Ludlow brothers… It is moreover used to emphazise the link between the three boys: it is heard, for example, during their childhood (B-2, B-3), at their moment of fellowship (B-5) or when they go together to the war (B-9). Played by the strings is a dense theme which intermingles romance and nature. But other orchestrations expand its colors: its first appearance in solo trumpet (B-1) sounds like the opening of a book that will tell us a great epic in a beautiful setting, panpipes (B-3 ) enable it to evoke the Native American culture, a constant element underlying the main story, the horn makes it warm during the reunion of the brothers at the beginning of the story (B-4). When Tristan returns from the war (B-10), the theme is played more slowly and is stretched, as if the enthusiasm, the dynamics of the beginning of the story were broken. With tragedies of war, innocence and naïveté are indeed lost forever. Tristan returns home, leaving behind the horrors of the conflict. The music all the while expresses a kind of reassurance, the universal feeling of coming home. Then this theme (B), a flagship of the film in its first half-hour, is absent for an hour, replaced by Tristan’s theme (A), which becomes the central element. We must wait until the last scene, when Alfred reconciles with Tristan and his father, to hear it sound again in one of the most beautiful ways. It marks the resolution of the conflict between them over the years. Emotion overcomes the characters, the theme passionately explodes when the Colonel clutches his son and becomes intoxicated with joy, savouring this rediscovered happiness that had left them. James Horner, by bringing back this theme after putting it away for an hour, managed to revive youthful emotions from the beginning of the film, by amplifying them, because we then realize the long path traveled by the characters. Often preceded by an epic, resonant motif played by the brass that we will meet again in Mighty Joe Young (Dedication and Windsong), this graceful theme is the quintessence of the story, of the feelings that emerge. This is one of those themes that envelops you from the first listen and sweeps a wide spectrum of emotions. It is like the mountains of Montana: gorgeous. We could believe this theme is Alfred's theme, because it unfolds during the two minutes where the older brother tells his mother he has moved to town (C-5), but this is not the case. Indeed, this theme has a dual function. First, it appears when a character arrives or leaves the ranch: departure of Isabel Ludlow (C-1), departure of the three brothers to the war (C-3), departure of Alfred for a career in the city (C-5), arrival of Samuel and Susannah (C-2 and C-3), arrival of Isabel Ludlow for the wedding of Tristan (C-6), arrival of Tristan's son (C-7). Then, these appearances ultimately correspond to stages of life: the emancipation when the mother leaves the ranch and leaves her children (C-1), the engagement with Samuel, which comes to introduces Susannah (C-3), the active life when Alfred is in search of a job (C-5), when Tristan marries Isabel II (C-6), parenthood when Tristan becomes a father (C-7). This is an elegant theme with an broad part and a bouncier one. This second part is moreover the one that first appears with the departure of the mother (C-1). It makes the transition between two appearances of the Legends of the Fall theme (B-2 and B-3) and corresponds well with the bourgeoise image, evincing this distinguished citydame, who can’t stand the picturesque life in the wild plains of Montana. This refinement will always follow her because we can hear it when Alfred writes to her (C-5) or when she returns to the ranch to bring the wedding dress to Isabel II (C-6). The first part of the theme first appears in the film when we see Isabel Ludlow confront her husband on the issue of children’s education (C-2). She tells him that Samuel will come to Montana with his fiancée. This is a slow, almost hesitant version of the theme performed by the woodwinds. The strings release the orchestra when the train arrives and we see Samuel and Susannah stepping off it. The aristocratic side of the melody also befits the arrival of a couple who met at Havard. Note that the reunion of Samuel with his brother Alfred and with the Colonel is musically reminiscent of the reunion between Natty Gann and her father (Reunion / End Title – The Journey Of Natty Gann -1985). Next, for Alfred's settling in in Helena (C-5), the first broad part of the theme appears from the beginning of the track until 0:56 when Alfred shakes hands with his father and gets into a car. From 0:56 to 1:23, the second part of the theme accompanies Alfred during various meetings: advisers, friends, bankers and customers who will help him set up his business. Finally he opens his office with the return of the first part of the theme from 1:24 to 1:48. Horner happens to match each musical phrase with each change of location, which gives fluidity to the sequence. Finally, the unforeseen meeting in town between Alfred and Tristan is an occasion to listen again to this theme, as each of the brothers observes the path of the other, what they did in their lives (C-8). D-2) A musical passage on the album, but not used in the film (Off To War 4:04 to 4:41) Note: the film version of Off To War is different than on the album. D-5) "One Stab" sings to celebrate the return of Tristan after his several-year trip (The Changing Seasons, Wild Horses, Tristan's Return 4:49-5 '00). After Theme C, which seemed to be related to Alfred, here is Theme D that appears five times when Susannah is on the screen. But is that a good reason to definitively associate it with this character? We don’t think so, because this theme is also heard during scenes where Susannah is not at all concerned. The most telling example is the birth of the son of Tristan and Isabel II (D-7), where the melody soars with a long chime and expresses happiness over the arrival of the child. Finally, happiness is probably the common denominator to all performances of this melody. Susannah’s recurring mark on this theme then can be explained, asher arrival at the ranch brought a certain joy to the male world of the Ludlow family. Happiness is transparently clear with her in two scenes on horseback (D-1 and D-3) where she is radiant. That luster will not leave her and will still be vivid during Tristan’s absence (D-4) even if, in this passage, the theme vanishes (Farewell, Descent Into Madness 6:37), as if the Tristan’s silence makes her lose light and hope. With the Tristan’s return, joy fills anew the hearts of the ranch’s denizens: "One Slab" sings with joy (D-5) and Tristan gives a present from his long journey to each of them (D-6). Susannah is no longer present but this does not prevent the theme from illustrating these moments of sharing and refound serenity. 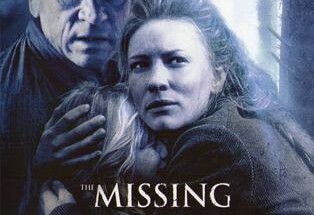 The last two appearances of the theme at the end of the film are very discreet because enchantment related to the character of Susannah has faded with the years. Only a few notes arise when she comes to visit Tristan in prison (D-8) and when Alfred and Tristan chat after her death at her graveside (D-9). James Horner managed, with this melody, to express the happiness and well-being that we can feel when we share moments of joy with a loved one, with our family. A small melodic miracle where musical notes seem to have been invented just to be placed in this order conceived by the composer. The music here rhymes with fluidity and simplicity. 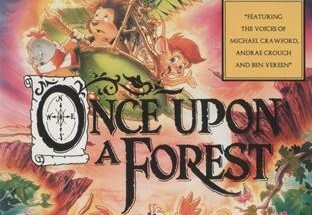 Introduced during the song Twilight and Mist, sung by Samuel during an evening-time family gathering, this sublime theme that opens the track, The Ludlows, comes back four times in the film:The first time itconcludes the same song (E-2) and closes the musical loop that accompanies this sequence where the family spends a wonderful summer at the ranch. It is played this time by the fiddles of Jay Ungar and Dermot Crehan with the piano in counterpoint. The use of this English instrument brings to the theme an undeniably appropriate folkloric aspect, especially as the Ludlows are from the region of Cornwall in England. The second and third time, the theme resurfaces to evoke memories of Samuel after his death: his brother Tristan cries (E-3), the fiddle/piano orchestration is still present but the rhythm is slower to emphasize lamentations. Then Susannah talks about Samuel to Tristan's son (E-4), the flute replaces the fiddle, the piano gives way to the harp. Years have passed, little Samuel talks about his uncle, so this new orchestration brings softness to a timeless theme. Finally, the fiddle returns to echo the sequence of the beginning of the film when Tristan regards his brothers in a photo. James Horner revives memories of that happy time when the family was complete and bonded together. Samuel is the character because of whom the family will break. He brings the temptation of Susannah to his brothers. He encourages them to go to war with him. And his death will long haunt his family. It is therefore logical that this theme encompasses a familial dimension while being bound to the young man. During the end credits, James Horner uses the theme again to open and close a track. This function of framing the other themes fits very well because, through it, the whole soul of the Ludlows is represented. Note: the part 2:36 to 4:27 of the track, The Ludlows, is not present in the film. This theme consists of a series of consecutive notes. Its main function is primarily emotional. To accomplish this, James Horner plays on ascending and descending movements. The orange part highlights chords accompanying the emotional climax of each scene: the shy kiss between Samuel and Susannah (F-1), Tristan makes progress in training a horse (F-2), the embrace between Tristan and his father when he returns to the ranch (F-4), the shaking of hands that brings Tristan and Alfred together (F-5). In this scene of reconciliation between the two brothers, the theme takes over from the theme of Samuel (E-4) and major stages of life (C-8). It concludes thus, in two moving musical minutes (Isabel's Murder, Recollections Of Samuel 1'58-3'58) that involve a multitude of human feelings. The succession of the three themes played gently by timeless strings, like those we find again in Bicentennial Man (Petition Denied), A Beautiful Mind (Saying Goodbye To Those You So Love), creates an emotional whirlwind that blends the past, present and future. It should be noted that in its first two appearances, the theme is extended to show the tranquility of Montana and of the ranch, with fiddles (F-1) or flute (F-2). Note: The film and the disc have two different versions of Off To War. 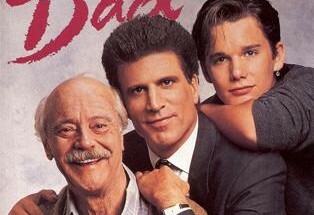 James Horner uses here the theme from Dad (1989), a film about the relationship between fathers and sons. A theme he had then embellished in the finale of A Far Off Place, in which it supported the separations and reunions between the main characters. The idea is the same in Legends of the Fall because we can hear it when Tristan leaves his father and meets him again (G-1, G-2, G-4), or Susannah (G-3, G-5, G-6 ). The first use during the departure to war (G-1) does not appear on the CD, but in the alternative version of the track Off To War used in the film. The theme illustrates the particular attachment that the Colonel has towards Tristan. Logically, this affection for his favorite son reappears when he returns from the front (G-2). 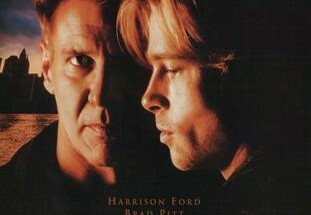 However, the emotion brought by the theme reaches its climax when Tristan meets his father after years of travel (G-4). This is a particularly poignant moment triggered by an emotional and an ascending theme (F) which accompanies the first embrace, then a delicate oboe marks the transition to the G theme that blossoms when the old man finishes writing "AM HAPPY" on his slate. Strings support their eyes filled with tears of happiness before a clarinet highlights the second embrace between the two men. Sublime. With Susannah, there is nor eason for any such emphasis: the theme is very discreet with a wood instrument when she recalls the months of separation (G-3), as if the lack of affection was not reciprocated. At this time she speaks of a bracelet received, yet the theme will return, always with a wood (G-5) when she tries to give it back to Tristan during their reunion. Finally, the theme returns once more, briefly, with the theme of happiness (D-8) in the last meeting between her and Tristan in the prison (G-6). The short duration of its last appearances in the form of motifs shows that they are only evocations of a past and of a love lost forever, but which the young woman seems unable to mourn. Jim Harrison's short novel is part of a trilogy about vengeance. It is therefore not surprising to find a theme that musically embodies this action. James Horner logically quotes a cold and morbid theme from Patriot Games, whose story was monopolized by Sean Miller’s obsession for vengeance over Jack Ryan (see our article). The link is even stronger, as Irish singer Maggie Boyle, who had already performed on Patriot Games, returns to magnify this macabre song again. In the prologue of the film, we glimpse a sketch of the theme (H-1). We see the Colonel throw his sword and leave the army to live off the massacres caused by the greed of man. The idea of vengeance and death has died with him hence the sensation of a rough draft of the theme in which only a few snatches appear. Then a part of the theme is played during the burial of Samuel's heart atthe ranch (H-2), just after the night out when Tristan took his revenge in the German trenches. Maggie Boyle's cold voice and dark basses are involved in the mournful and wintry atmosphere of the ceremony. Finally a flute tirelessly repeats four notes of the theme while Susannah's impassive face suggests a mixture of sadness and anger. Fate hounds her: after her parents, she has lost her fiancé. She failed to keep him from going to Europe in a deadly conflict. Her suffering is reminiscent of that of Irish bereaved families, which was anunderlying motif in the score for Philip Noyce's film. The burial of Isabel II is also haunted by the theme in the form of a motif of seven sharp, scathing and snarling notes symbolizing the immense injury that further strikes Tristan’s family following the accidental death of his wife (H-3). Then the theme returns, played by double basses, when Susannah, totally despaired, says to Tristan that she had wished the death of Isabel II and Samuel (H-4). The melody stirs the negative thoughts more and more meaningfully in the young woman. Maggie Boyle is back for the last appearances of the theme when Tristan prepares his revenge while Susannah falls into a suicidal state (H-5), and when men come to avenge the death of their colleague killed by Tristan (H-6). The voice announces the fatal destinies of the characters, like in Higland's Execution (Patriot Games) where officers were executed in cold blood by a dissident wing of the IRA. In the track Revenge, the parallel with the 1992 score is amplified by the reprise of many dramaturgical elements used then such as synthesizers, the pan flute to accompany the voice, or a sombre violin performing two strained notes. I-1) Musical passage present on the album but not used in the film (The Ludlows 3:32-4:10) Note: the part 2:36-4:27 of the track The Ludlows is not present in the film. Always performed by woods, played gently with a subtle ornamentation for counterpoint, this theme is perhaps the most sensitive of all. It carries the characters during their time of sorrow. When Samuel writes from the trenches and expresses his discouragement, the (I-2) theme is developed by an oboe and a clarinet for more than a minute and thus delivers all its sensitivity. It is also a clarinet that underlines Tristan’s sobs near the grave of his brother (I-3). These two moving moments are not on the album and would almost justify on their own a more complete edition of the score. Tristan's life is marked by two terrible events: the death of his brother Samuel (J-1) and of his wife Isabel (J-2 and J-3). For each, James Horner uses a theme that begins with a motif of six oppressive notes representing all the gravity that overwhelms the character during these tragic moments. This theme further develops strings expressing the intense emotional wound that he enduring, and we will find this, a few months later, in Braveheart (Betrayal). These strings then give way to a motif taken from another theme that will be strongly transformed afterwards: when Samuel dies, when Tristan decides to take his brother’s heart his theme (A-7) appears, while for the death of Isabel, the theme of death and revenge does (H-3). When the procession returns to the ranch after the burial, the motif of six notes concludes the scene as it had begun (J-3), indicating that the pain will last a long time. This is the theme that marks the link between Tristan and Susannah after the end of their relationship. It recalls both the intensity of the passion they shared and the nostalgia and regrets felt by the young woman. This theme manages to express in music what, as she wrote to Tristan, remains unspoken and unresolved between them. James Horner excels at evoking the past that might-have-been and this romantic theme renewed proof of just that. Note that the piano is used four times to evoke the fragility of the relationship between Tristan and Susannah: A-3, just before A-12 and A-17 and finally K-2. Eight nostalgic notes which symbolize the passing of time told by "One Stab", the narrator of the story, are presented. In the prologue, its appearance is very short (L-1) unlike its unfolding over one and a half minutes during Tristan’s absence away from the ranch (L-2). On this occasion, James Horner seems to look for purity in the strings thereby providing them a timelessness that we have already mentioned in the description of the theme F.
In the tetralogy Der Ring des Nibelungen (The Ring of the Nibelung), Richard Wagner associates each character (including the Ring) to an autonomous musical theme whose variations indicate a psychological climate in which this character evolves: it is the famous "leitmotiv". With Legends Of The Fall and regularly elsewhere in his work, James Horner has not really followed the same approach because only one theme, that of Tristan (A), is exclusively connected to one character. While certain themes appear to be related to the characters, other connections exist and also extend to the emotional context of the scenes. For example, the theme that could be Susannah’s theme is actually the theme of happiness because it is the emotion she brought to the beginning of the film. The theme that could Samuel’s theme finally embraces the soul of the whole family… The composer has often explained that he first looks to capture the spirit of the scene, its colors, and emotions before he thinks about a particular theme. To approach a rich and impressive work such as Legends Of The Fall under the simple angle of the themes proves to be undoubtedly reductive. However, this analysis has allowed us to highlight new evidence of the legitimacy of recollections intrinsic to his work, with meaningful reprises of themes from A Far Off Place or Patriot Games. He has shown us the tremendous role of orchestration to transcend melodies and give them a multitude of colors and meanings. Finally and above all, it has once again cultivated in us a great admiration for this romantic score above all others. James Horner said he entered the Hollywood tradition with Cocoon and An American Tail. With Legends Of The Fall, he entered into the legend of music. The Legends Spreads. In addition, so that you can find the themes and their corresponding events on the album, we list for you below their appearances following the tracks of the disc. We have moved the piece Goodbyes and reversed the two parts of the song Isabel's Murder / Recollections of Samuel in order to better respect the timeline of the story. 0:07 – 0:35 / B-1 / Appearance of the film's title and opening shot showing a river through the trees of a forest in autumn colors. 0:55 – 1:35 / A-1 / As a teenager Tristan is hunting in the forest while the Indian "One Stab" recounts his birth and the education he has received. 1:36 – 1:55 / H-1/ The Colonel throws down his sword and abandons the army. 1:58 – 2:59 / B-2 / Presentation of the ranch and the plains of Montana. Childhood of the Ludlow sons. 3:00 – 3:19 / C-1 / "One Stab" mentions that Isabel Ludlow, the mother of the three brothers, favored leaving the ranch for the city. 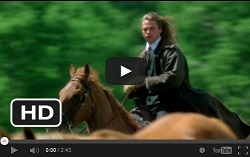 3:20 – 4:00 / B-3 / The three brothers watch their mother leave the ranch and go into town. "One Stab" draws on Tristan’s face and introduces him to Indian culture and rituals. 0:00 – 0:39 / E-1 / Samuel sings the song Twilight and Mist. He is accompanied by Susannah at the piano. Tristan, Alfred, and the Colonel listen attentively. A voiceover by the latter reads a letter to his wife where he states how happy he is to see his three sons together under the same roof. 0:40 – 1:36 / D-1 / On horseback, Samuel introduces Susannah to roping. 1:37 – 2:19 / B-6 / Susannah receives a shooting initiation from the Colonel Alfred, and Samuel. Then by the window of her room, she sees Tristan trying to tame a horse. 2:20 – 2:36 / F-2 / Tristan approaches a horse to try to tame it. 2:52 – 3:30 / B-7 / Musical passage on the disc but not used in the film. 3:32 – 4:10 / I-1 / Musical passage on the disc but not used in the film. 4:10 – 4:27 / F-3 / Musical passage on the disc but not used in the film. 4:42 – 5:34 / E-2 / Tristan rides the horse he has trained. The others turn to him with admiration and wonder. Note : The film and the disc have two different versions of Off To War. 0:06-0:44 / A-3 / Susannah snuggles and cries against Tristan, begging him to prevent Samuel from going to war. This intimacy lingers, their eyes meet and an attraction is forged. 2:04 – 2:57 / B-8 / Farewell between Tristan and Isabel II, Alfred, and Susannah then Samuel and Susannah. 3:18-3:54 / C-4 / The Colonel’s farewell to his three sons before their departure for war. 4:54-5:49 / B-9) The departure of the three brothers to war. 0:51-1:46 / A-4 / Tristan, Samuel and Alfred participate in an attack in the German trenches. 0:26-0:40 / A-5 / Tristan on a galloping horse searches for Samuel who left to reconnoiter the front. 3:04-3:09 / A-6 / Tristan runs to Samuel who is caught in the barbed wire and blinded by mustard gas. 4:20-4:47 / J-1 / Samuel has just died in the arms of his brother, who tries to carry him. 4:48-4:52 / A-7 / Tristan prepares to remove Samuel's heart, who has been shot by the Germans. 6:20-7:05 / A-8 / Tristan kills the Germans, taking their scalps and returns to his camp in the morning under the eyes of his countrymen. 7:32-7:56 / H-2 / Alfred brings back Samuel's heart. He is buried near the river. 0:00-1'48 / C-5 / Alfred leaves the ranch and moves to Helena. He writes tohis mother to tell her of his arrival in the city, his encounters, and his work. 1:59-2'49 / D-3 / On horseback, Tristan and Susannah herd the cattle. 0:36-1:12 / A-11 / Tristan attempts suicide near the Samuel’s grave. 2:15-2:30 / A-12 / Tristan silently prepares his horse to leave the ranch. 2:47-3:19 / A-13 / Susannah tries to keep Tristan from leaving. 4:30-5:14 / A-14 / Tristan leaves the ranch for several months. Isabel II runs after him and watches him go. The following shot (4:54) shows Tristan sailing a tall ship in the middle of the ocean. 5:14-5:31 / G-3 / Tristan is in New Guinea, away from his family. Voiceover, Susannah recalls the months that have elapsed without news, having only received a native bracelet. 5:32-6:49 / D-4 / Susannah awaits Tristan’s return. Voice-over, she tells of the news at the Ranch. 7:11-7:15 puis 7:47-8:00 / A-15 / Tristan writes to Susannah and tells her about his activity as a hunter and the "death" of their love. 0:00-1:31 / L-2 / Old "One Stab" tells of the Colonel’s discomfort, the beginning of his old age, the seasons passing without news of Tristan and the legends about him that reach the ranch. 2:04-2'51 / A-16 / After years of absence, Tristan returns to the ranch with a herd of horses. 3:28-3:53 / F-4 / Tristan returns to the ranch after years of absence. The Colonel moves towards him and embraces him. 4:13-4:49 / G-4 / Reunion between the Colonel and Tristan. The Colonel, who has become mute, writes to his son that he is happy. 4:49-5'00 / D-5 / "One Stab" sings to celebrate the return of Tristan after his several-year trip. 0:13-0:22 / A-17 / Tristan sees Susannah in the garden of the house which she shares with Alfred in Helena. 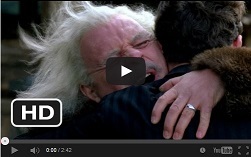 0:23-1:06 / K-1 / Reunion after years of separation between Tristan and Susannah. 1:07-1:30 / G-5 / She wants to give the bracelet back to him. He refuses saying that it was for her. 0:26-1:35 / C-6 / Welcomed by the Colonel, Isabel Ludlow comes back to the ranch for Tristan's wedding. She brings her wedding dress to Isabel II. The ceremony takes place in a small group. The two newlyweds exchange caresses in their bed. 1:36-2:15 / D-7 / Isabel II gives birth to her first child. His parents hold the child out to Tristan. 2:15-2:40 / C-7 / Susannah writes to Tristan to congratulate him on the birth of his son, Samuel. Isabel II is expecting a second child. 1:57-2'20 / E-4 / Susannah speaks to Tristan's son, Samuel, and tells him about how his uncle died in the war. 2'32-3'15 puis 3:32-3'52 / C-8 / After years without having seen each other, Alfred, Susannah, Tristan and Isabel II meet in town and talk. 3'15-3'36 / F-5 / Some years after their dispute, Tristan and Alfred shake hands and reconcile. 0:00-0:42 / J-2 / Tristan goes to Isabel II, who has just received a stray bullet, and he carries her body. 0'42-1'02 / H-3 / Tristan buries his wife, Isabel. 1:32-1:43 / J-3 / Tristan heads for Alfred at the end of of Isabel II’s funeral. 1'02-1'46 puis 2'18-2'30 et enfin 4'45-5'01 / H-5 / Tristan and his family prepare their revenge against those who caused the Isabel’s death. 0:00-1:20 / H-6 / Three men with the sheriff come looking for Tristan, to kill him. 2:22-3:20 / B-11 / Alfred has just shot the sheriff to save his father and Tristan. The Colonel warmly embraces him and reconciles with his eldest son. 4:10-4:33 / B-12 / Tristan asks Alfred to take care of his children. 5:44-6:54 / A-22 / Tristan is out hunting when he encounters a bear who kills him. Huge thanks to Byron Brassél, Etienne Walter and Tom Hudson. Why are you talking about mustard gas? This film is set in 1915, but mustard gas was not introduced in 1917. The gas used in 1915 would have been chlorine. However, there are many historical inaccuracies in this film. The scene showing the gas attack is supposed to be February 1915, but gas was not used until April 1915, and the types of gas mask being worn are completely wrong for 1915. Anyone know where I can obtain sheet music for the theme “Alfred Moves to Helena” ? I have scoured everywhere and I can find nothing. 🙁 Any help appreciated!